The third competition for the W. W. Worthington Memorial Trophy was held on April 26th at St. Paul’s, Burton-on-Trent. This 10-bell striking contest is open to bands representing territorial associations (or branches thereof) affiliated to the Central Council. There were seven competing bands this year, the Coventry D.G. entering for the first time. Three towers were open for general ringing during the afternoon and the bells of Tutbury (8), Hanbury (8) and Horninglow (6 steel bells) proved popular. This was especially so in the case of Horninglow, where the novelty of steel bells caused queuing on the stairs. The Vicar of St. Paul’s (Rev. R. N. Whittingham) welcomed the bands and Mr. Ben Worthington (president, Midland C.G.) greeted them on behalf of the Guild and made the draw for the order of ringing. The test piece was a true touch of 404 changes consisting of 202 each Stedman Caters and Cambridge S. Royal. It was anticipated that the unusual change of method could have caused some problems, but this was not so. Each band was allowed 30 minutes to practise on the bells and to complete the test piece. A buffet was provided throughout the afternoon, and it was very well supported and made a valuable contribution towards the cost of staging the event. All the ringing had been completed by 6 p.m., and the competitors assembled to wait the verdict of the judge, Mr. Richard Speed. He said that, in his opinion, the standard of ringing had been, in general, very good, and remarked on the difficulty of consistent judging on higher numbers of bells. After his observations on each performance he placed the bands: 1. St. Martin’s Guild (124 faults). 2. Midland Counties Guild (132). 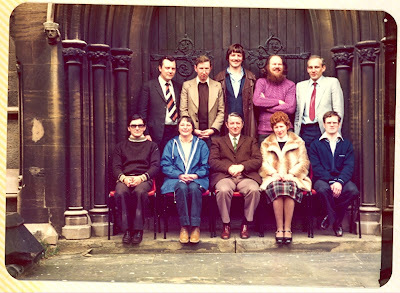 3.Leicester Diocesan Guild (165). 4. Coventry Diocesan Guild (174). 5. Worcestershire & Districts Association (195). 6. 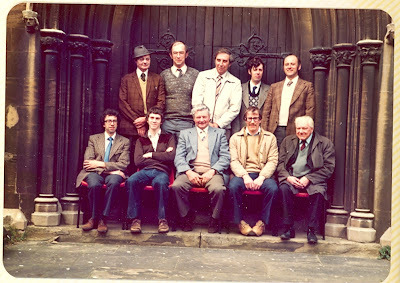 North Staffordshire Association (197). 7. 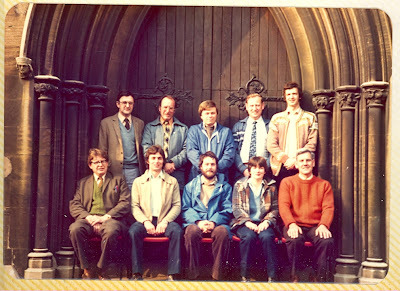 Derby Diocesan Association (250). The silver rose-bowl trophy was presented to the captain of the winning team (John McDonald) by Mr. Ben Worthington with appropriate congratulations and Mr. McDonald suitably responded. Many of those present adjourned to the nearby Star and Garter for the usual “inquests”. 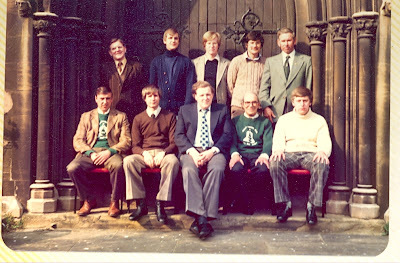 Malcolm Quimby, Derek P Jones, David A Hiorns, Brian G Meads, John K Smith, Peter Marriott, Andrew E Else, Ian Roulstone, Alan S Burbidge, Gordon H Lane. 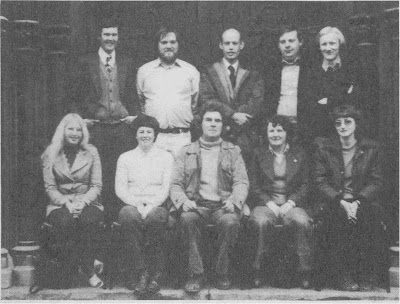 Geoffrey Pratt, Janet R Border, W Nigel G Herriott, James Indey, Peter Border, Ian D Thompson, Gordon Benfield, Geoffrey W Randall, George T Pluckrose, Simon P Rogers. 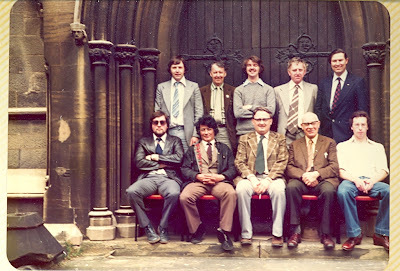 Frederick E Wilshaw, Michael Wilshaw, Walter Sherratt, Timothy M Davis, Raymond Ballard, Norman Sherratt, David J Midgley, Ralph B Mitchell, Harold Dowler, Paul J Atkins. 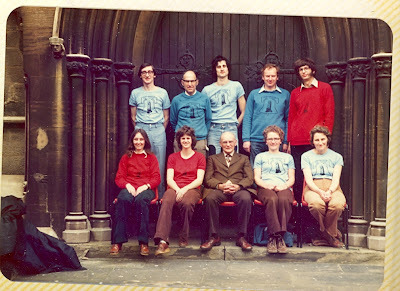 Jill Danby, Patricia A M Halls, Harold Taylor, Frances E Haynes, Janet S Foulds, Richard J Danby, Gordon A Halls, Roy A Meads, Clive G Bryant, Michael Foulds.